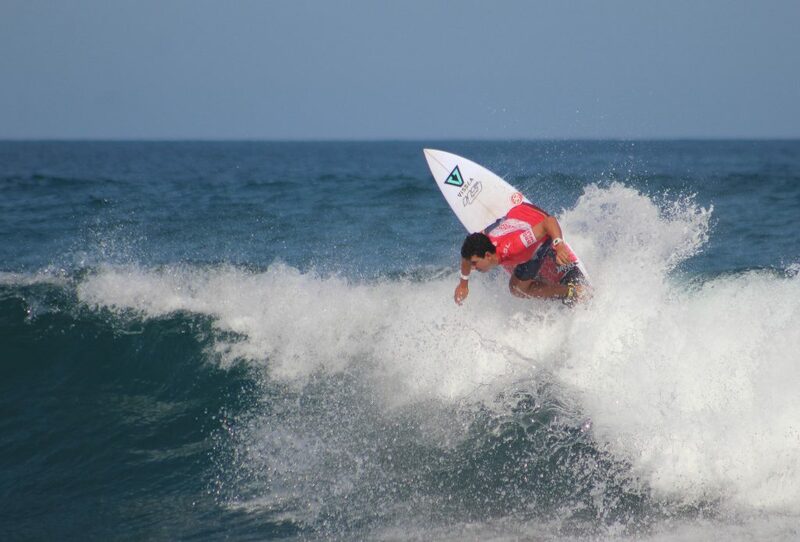 Los Cabos Open of Surf Charges Through Critical Day of Competition | EasternSurf.com | All East Coast. All The Time. 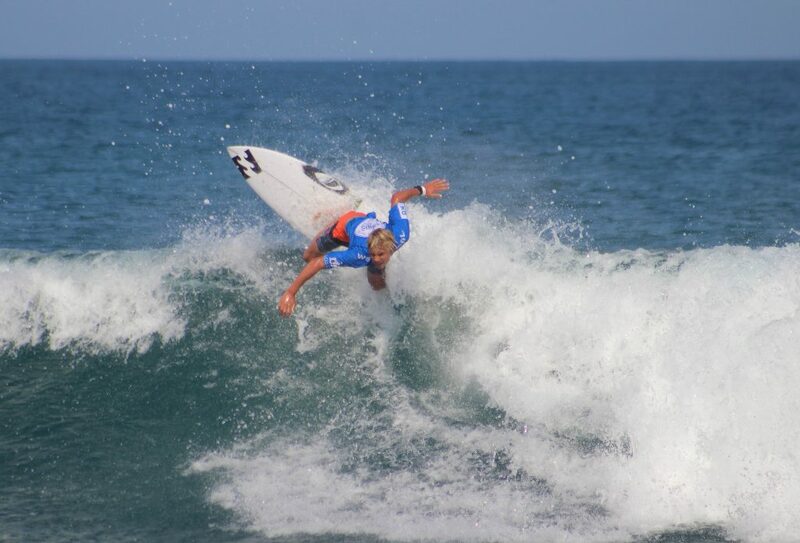 SAN JOSE DEL CABO, Mexico (Thursday, June 8, 2017) – The World Surf League (WSL) Los Cabos Open of Surf Women’s Qualifying Series (QS) 6,000 and Pro Junior events returned to Zippers for another crucial day of competition. Incredible performances followed throughout the day with near-perfection and moments of brilliance as two-to-three, occasional plus, foot conditions were on offer. 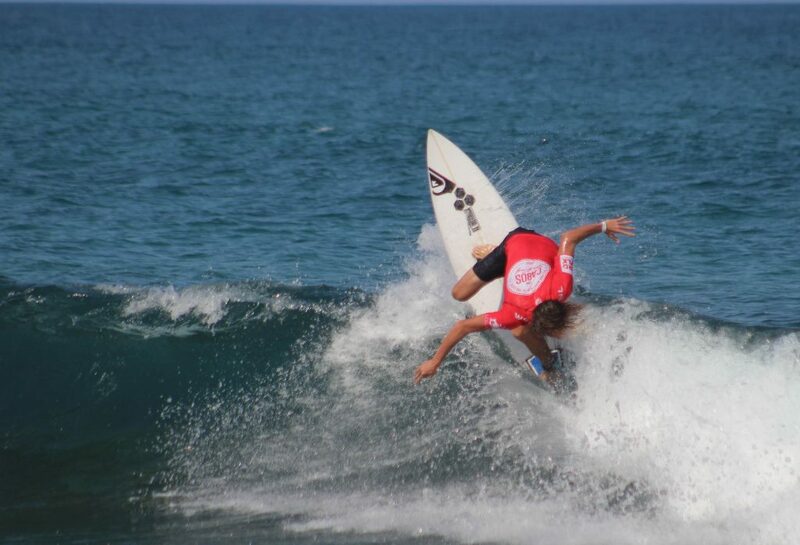 The women’s QS6,000 is now set with two-man heats in Round Six and the Pro Junior Quarterfinalists were decided for both men and women. Fifteen-year-old Caroline Marks (USA) blasted past deadly, fellow goofyfooters Bianca Buitendag (ZAF) and Mahina Maeda (HAW) with a brilliant performance. Marks earned an 8.17 early in the heat with multiple powerful maneuvers on the fast-paced wave and backed it up with a 7.00. Under Mike “Snips” Parsons mentoring, the young talent has plenty in her arsenal. “It’s great traveling with Mike [Parsons], he’s such a legend and he just told me to go out and have fun,” Marks said. “We had a whole game plan of where to sit and what to do — his advice is so helpful. I’m just trying to have fun and do my best in both events. Having no pressure here is great and I’m really enjoying myself. Surfing against Bianca [Buitendag] was great, she’s been like an older sister to me when we’ve surfed together on trips and I’ve surfed against Mahina [Maeda] for awhile now so that heat was super fun.” Marks continued that phenomenal form in the Pro Junior event to finish off the day with an immaculate 18.37, including a near-perfect 9.60. The men’s Pro Junior got underway with Rounds One and Two being completed in their entirety and now has its Quarterfinal draws set. Opening day for the region’s best 18-and-under proved well worth the wait as Zippers provided plenty of opportunities throughout the rounds. Event organizers will reconvene at 7:00 a.m. MDT to determine an 7:30 a.m. MDT Start for either Round Five of the Los Cabos Open of Surf Women’s QS6,000, or Pro Junior events. Tune in live at 8:00 a.m. to witness more action from Zippers at www.worldsurfleague.com, or download the WSL App to stream the event on your mobile device and get daily updates.